The COOPH team are rather clever people who keep coming up with genius ways you can use a few household items to improve your smartphone photography and their latest DIY tutorial is just as cool. In the above video, the COOPH team show you how to make a smartphone stabiliser with the help of a few everyday tools and an elastic band. Basically, all you need to do is wrap an elastic band around the handle of a hammer tightly, slot a screwdriver through it and twist it to create tension. 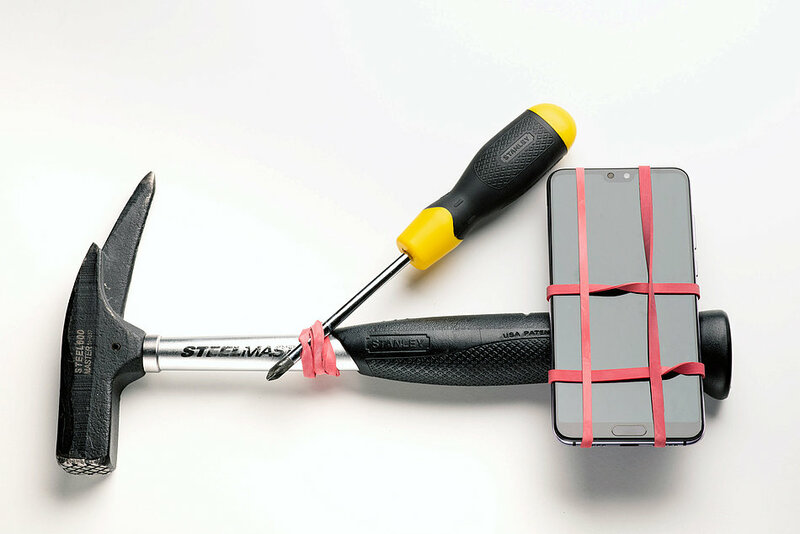 You then need to secure your smartphone to the opposite end (with another elastic band) and voilà, an inexpensive stabiliser to keep your footage steady. As well as a stabiliser, COOPH also has video tutorials on making a rotating time-lapse rig and also a tutorial on building a tripod for a smartphone.